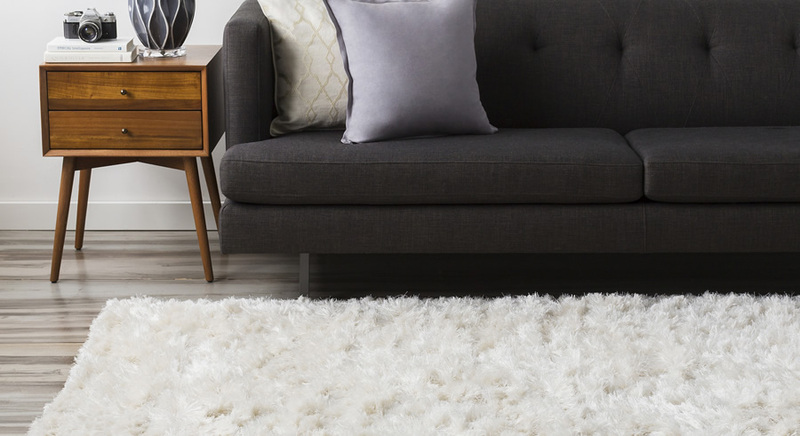 Shaggy rugs are on trend, but unlike the shag area rugs from the 70's, today's shags are sleek and add just the right amount of texture and warmth to any room. 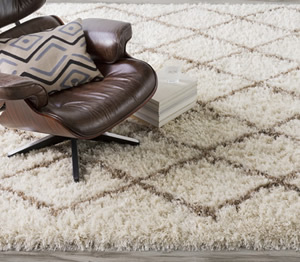 A cozy white or rich gold shag rug are favorites with designers and customers alike. Or go crazy with a fun pop of color like bright orange or pink. Shaggy rugs are great for the living room. 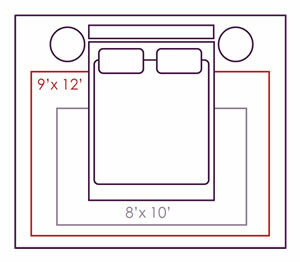 They can also make a great statement in the bedroom, family and kid's rooms. These rugs offer pure beauty and barefoot joy to any room in your home! A rug for all seasons, shags have not only made a great comeback, they are just as soft and elegant as ever. In summer, a white shaggy rug carpet can create a cool touch under the coffee table. Equally, this plush rug makes a warm and inviting statement by the fireplace in the fall or winter. Who doesn't love a luxurious shag rug at a great price? Our large collection of shag rugs is sure to have the color and style you're looking for. In addition to our affordable prices, we offer free rug samples and free shipping on every order!